At eighteen Hannah Kauffman made a terrible mistake. Her parents and members of her Jamesport Amish community say theyve forgiven her. But she feels their eyes following her everywhere she goes with eighteen-month-old Evie. Thaddeus, Evies father, escaped this fate by running away from Jamesport. Now that Thaddeus is gone, Hannahs old friend Phillip is stepping up to be by her side. He has waited patiently for Hannah to realize just how much he cares for her. But when Thaddeus returns after two years, Hannah cant deny the love she feels for him. Does the fact that Phillip has waited patiently for her all this time mean that she owes him something? Can she trust either one of them? Can she trust herself? She has repented and been forgiven by the One who is most importanther heavenly Father. But is she willing to risk making more mistakes by opening herself up to love? 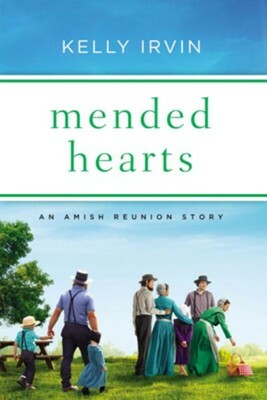 I'm the author/artist and I want to review Mended Hearts: An Amish Reunion Story / Digital original - eBook.